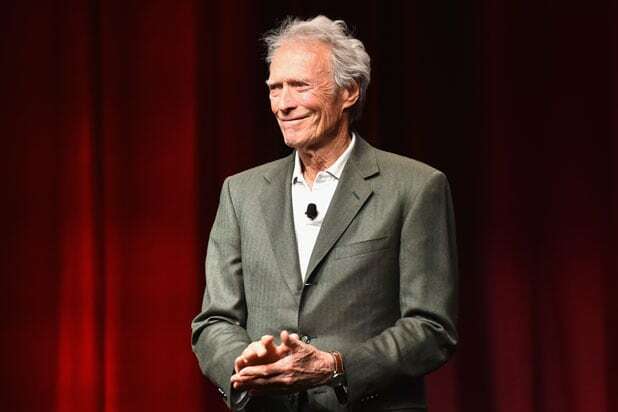 Clint Eastwood was the guest of honor at “The Legend of Cinema Luncheon” at the annual CinemaCon convention in Las Vegas on Wednesday. Eastwood is coming off the smashing success of “American Sniper,” which was the highest-grossing film at the domestic box office in 2014, though the film made the bulk of its money this year. Following a clip reel featuring everything from Westerns and war movies to action movies, dramas and “chick flicks,” Eastwood sat down to discuss his career and why he’s still working at the age of 84, showing no signs of slowing down. “The reason I’m still making pictures is I enjoy it and I want everybody else to enjoy it. It’s a fun process and when it stops being fun, you won’t see me doing it anymore,” said the iconic filmmaker. Eastwood said that he caught the Hollywood bug after watching Howard Hawks’ WWI film “Sergeant York” starring Gary Cooper, which was the first movie to make a mark on him back in 1941, when Eastwood was just 11 years old. Eastwood’s natural curiosity as an actor led him to direct after years of watching people make decisions that dictated what the end result would be. Eastwood said he always enjoyed the process of acting, and movies in general, but wanted to try his hand behind the camera because he loves having absolute control. As far as “American Sniper” goes, Eastwood said he was reading the book when Warner Bros.’ Dan Fellman called and asked if he knew anything about the project. Eastwood was under the impression that Steven Spielberg was directing the film, but Fellman told him Steven had moved on to something else and the studio would love to have him direct it. Eastwood was immediately intrigued and eventually called Spielberg to say, “‘I’m taking your leftovers again.’ He was very supportive. We’ve worked together on many occasions and have known each other for many years,” the “Mystic River” director explained. The rest, as they say, is box office history.